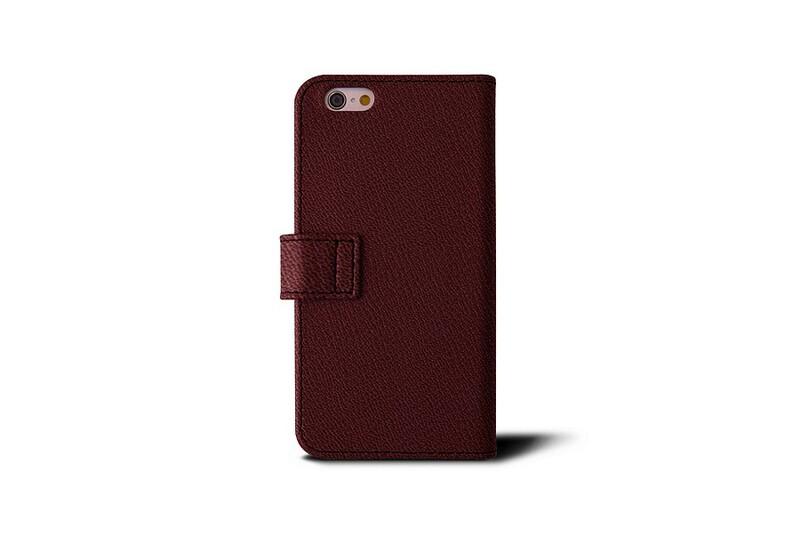 The leather wallet case for iPhone 6 / 6s is a must-have accessory for Apple aficionados. 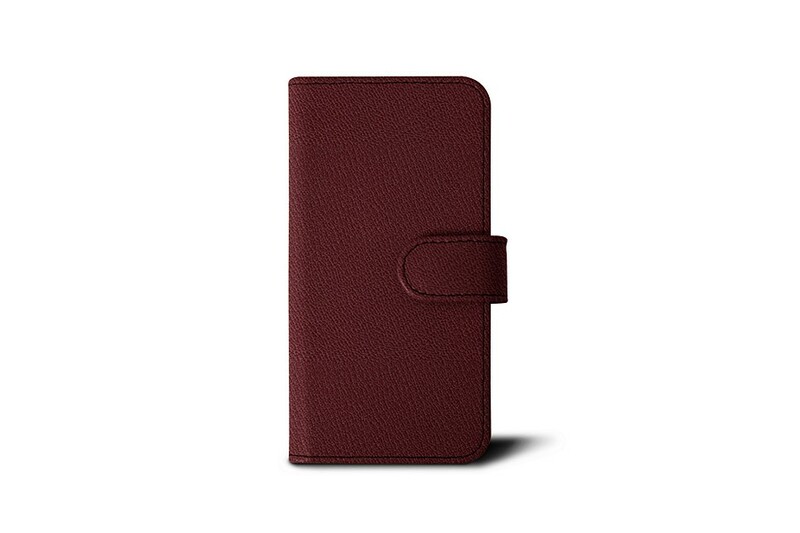 Made in premium authentic leather and coupled with expert finish by the world’s finest artisans, this flip case for iPhone proposes security married to elegance. On the left side of the leather iPhone 6 / 6s case, you have 3 slots for credit cards plus a flat pocket underneath for notes or receipts. On the other side, there is a solid plastic holder that keeps your phone safe from mishaps such as accidental falls. 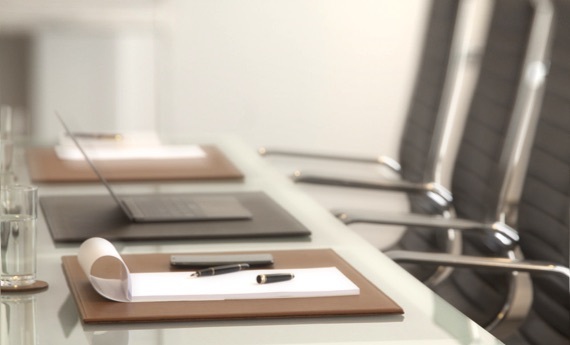 A loop closure ensures optimum security from scratches and dust deposits. A dedicated perforation at the back makes sure that you can use the camera while keeping the smartphone in its leather case. Before placing it in the case, make sure that your iPhone is not in any sheath or cover, that would modify the original dimensions of the phone. 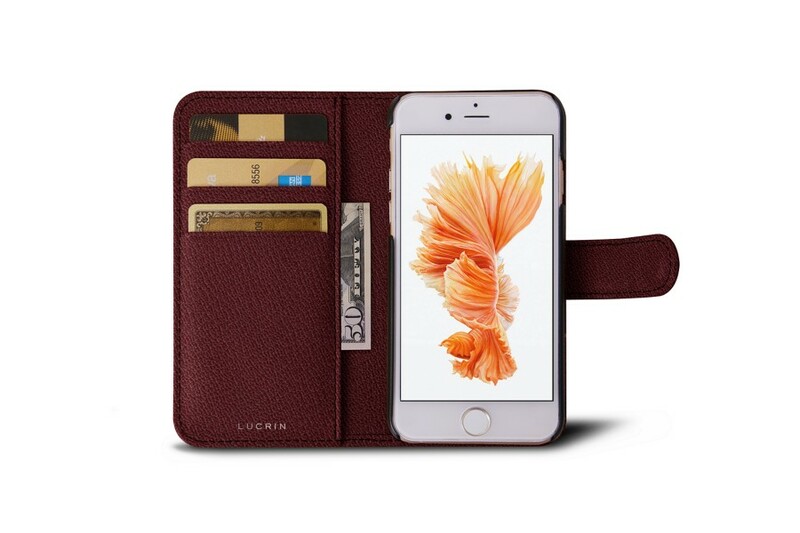 The leather iPhone 6 / 6s wallet case is custom-made relative to the size of the device. 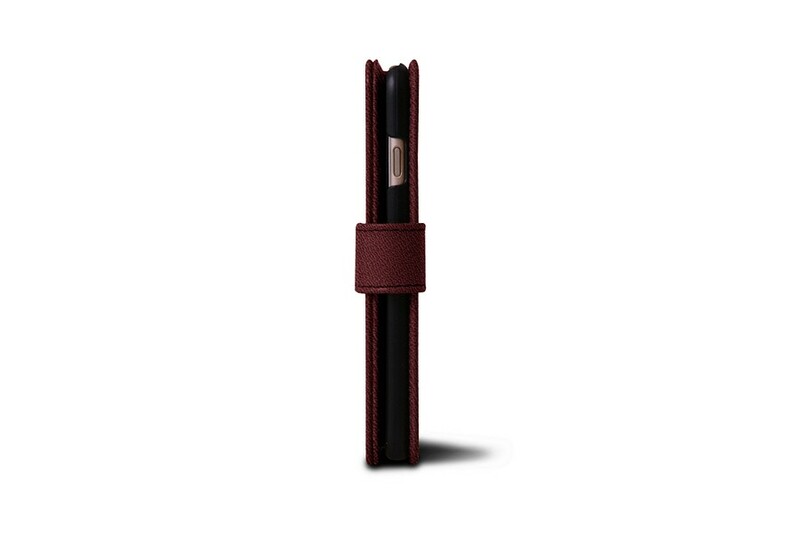 Note: This wallet case is designed to fit ONLY the iPhone 6/6s, not any other model of iPhone or other smartphones.